During this summer break, my tutor Silvia Grimaldi shared a message from the Service Design Network UK (SDN UK). 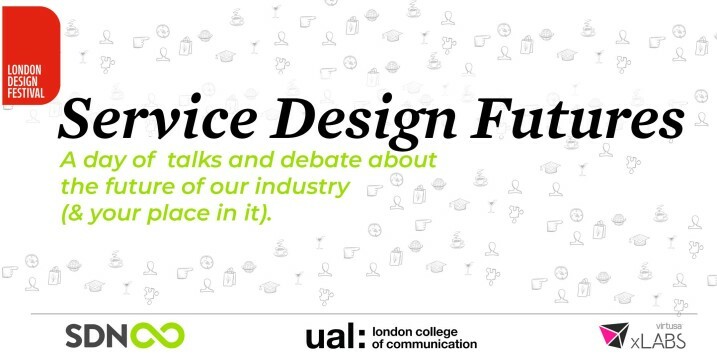 It was an invitation to take part in the SDN UK conference, ‘Service Design Futures’ at LCC. The Service Design space is growing, changing and evolving. Through our coursework at LCC MA SEDI, we discovered the role change of practitioners and market needs for service design. SDN UK is focusing on the changes of this moment in various perspectives. The conference topic was about mapping the future of service design space, how it is evolving and changing. In particular, the conference was looking for students who were bravely exploring the new future of service design within their works. It was an exciting opportunity for the Service design course students, because SDN has a passionate community of service designers and also it was a very good experience to present our work to receive feedback from the professionals. Why did I apply to present at SDF? 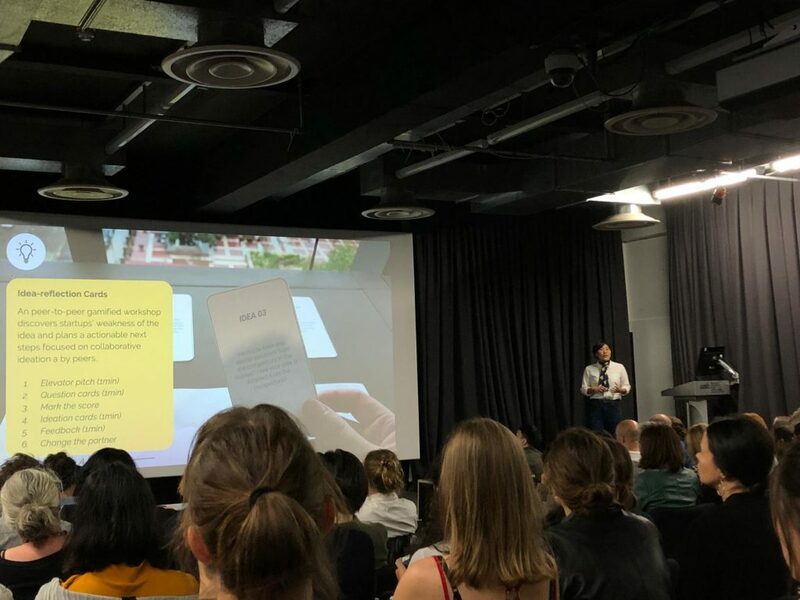 As a student who dreams of becoming a professional service designer, I wanted to be involved in a meaningful conference that focused on positive social change, which made me take part in the London Design Festival conference. 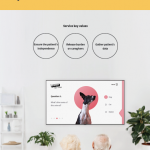 In addition, I wanted to share my major project progress to the market leading service designers, to receive insightful questions and comments. So I applied to present my major project for the ‘Service Design Futures’. As a result, I could get much more insightful feedback than I expected, as well as the opportunity to network with other service designers. Good try! So…What should I prepare? In my major project timeline, I was in the middle of the development phase, therefore I had to think about what to share to the audience, which would align with the conference topic and also to receive insightful feedback from those attending. The first thing I did was to structure the presentation in a story format, to tell the journey of my research, idea development and user testing. I kept a journal from the beginning of the activities, so I could reflect on the key learnings from each stage of the project. Since the presentation was only 5 minutes long I had to focus on the most important stages of the project’s journey. Visualising my project by taking pictures helped with documenting the project’s journey. The documentation of interviews, field research and user testing through pictures gave insight into key moments of my project. 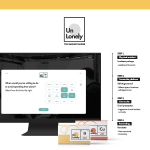 It helped me to design the presentation deck, as it complemented the data, text and quotes within the presentation. Furthermore, with my drawings I was able to visually describe the user journey which was difficult to explain with only pictures. Speaking in front of many people could make anyone feel nervous, whether English is or is not your first language, I believe it is always important to overcome your fears with practice in front of colleagues or stakeholders. A pitching coach that I met during the research stage of my project said, “for a one minute pitch, you need to practice for one hour”. So I practiced. During the discover phase in my project, I contacted my stakeholders to introduce my project and ideas. Particularly, having a meeting with the stakeholders was helpful because they gave me the feedback straight away. With this feedback I could iterate on the script and slides through multiple rounds of practice. Overall the presentation went very well! I was so pleased to receive questions from the audience. My presentation topic was about introducing a co-reflection activity, which encourages the engagement for early stage tech startups and Incubators/Accelerators in the UK. 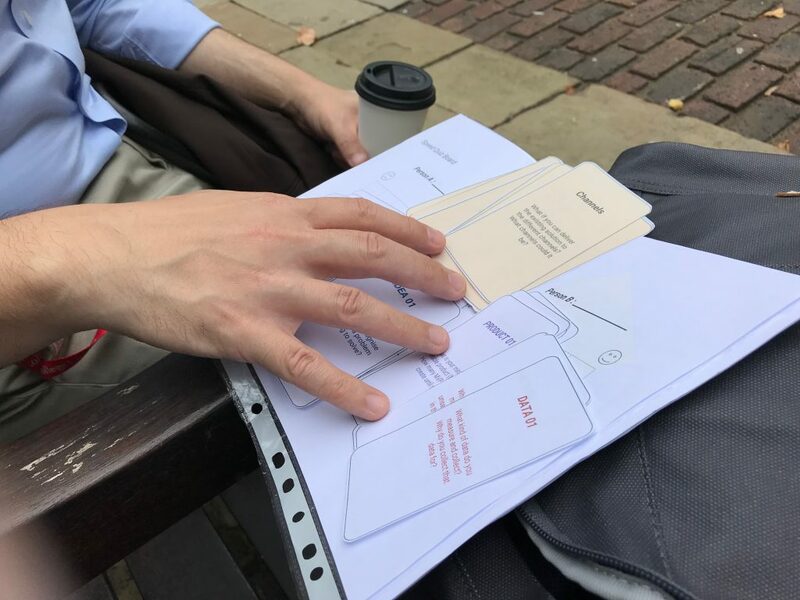 From the discovery phase to development phase in my project, I was able to show the lo-fi prototype and user feedback of the peer-to-peer card game. 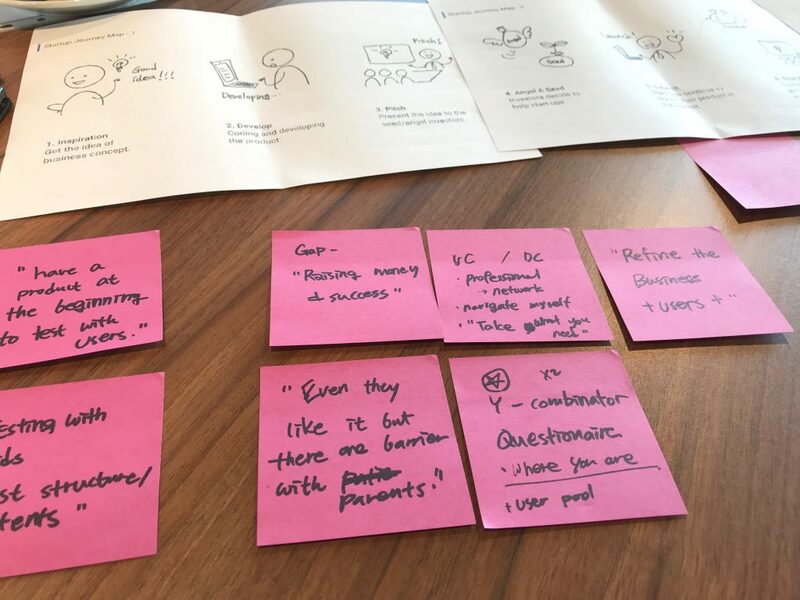 I think the prototypes and user stories helped the audience to understand my idea concept and encouraged them to ask questions. How can the elevator pitch be helpful for the startups to reflect on their business idea? How can you measure the score of the peer-to-peer card game? What will be the value for the large organisations who provide an internal incubator programme and need to screen lots of applications? When I created the deck, I prepared some additional slides to explain the card game scoring system and the other research references. So it was helpful for answering some questions. The last question was an unexpected one that I haven’t thought about before. This question helped me to further expand the stakeholder map for my service idea. First of all, I’ve learnt the importance of the journey, for how to prepare a presentation to explain my project to other people. From the preparation to the Q&A session, I was able to look back on my project multiple times to review areas that have potential for improvement. Secondly, I changed my approach on how I can respond to a diverse range of questions and to be more open to feedback from people who are curious about my work. 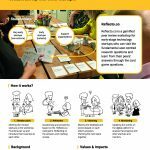 At the Service Design Futures conference, the questions I’ve received were a positive signal from the audience, who were all interested in the topic and believed there’s a need for a service of this kind. This led to someone who was interested in my topic to want to talk more about the project and its impact. I really appreciated the people who gave me comments and questions after my presentation. It inspired me to focus on other areas of the project, which I hadn’t thought about before. Access to the professional’ community gave me good learning opportunities too. The designers from the service design firms and companies that I’m very interested in, were all accessible at the conference. I could discuss my project with them and share contacts. Some of the topics are still new for me, but I was able to learn about the new areas to discover more and prepare for the future of service design. Furthermore, being involved in the London Design Festival Service Design Network conference was a memorable experience. I was genuinely able to learn about new market trends and experiences from the service designers who are at the forefront of change within the industry. If there are students who would still hesitate to present their work in public, I would encourage them to go for it. There are many people who are willing to listen and help you to grow. From my experience, I met so many good people through the event and received support that has encouraged me to continue with further development of my project. 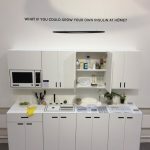 ← What if you could grow your own insulin at home?